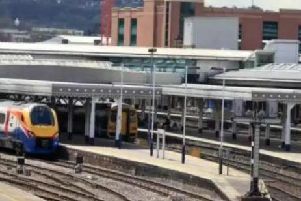 Network Rail is advising passengers of platform alterations as engineering activity gets underway at one of its station. From this week until March 2019 work is taking place at Barnetby Station as part of a bigger project to upgrade the route between Immingham and the East Coast Main Line at Doncaster for freight traffic. Over the course of the five month project, each platform will need to be closed for a period so that the track and platform edges can be moved and the platforms can be resurfaced. Richard Iggulden, Senior Development Manager, said: “We thank passengers in advance for their patience whilst we make these platform alterations. The changes are a vital part of enhancing freight services through the region.